Posted on March 5, 2009 by Deli Lanoux, Ed.D. On Ash Wednesday, Father Xaviour shared his thoughts. 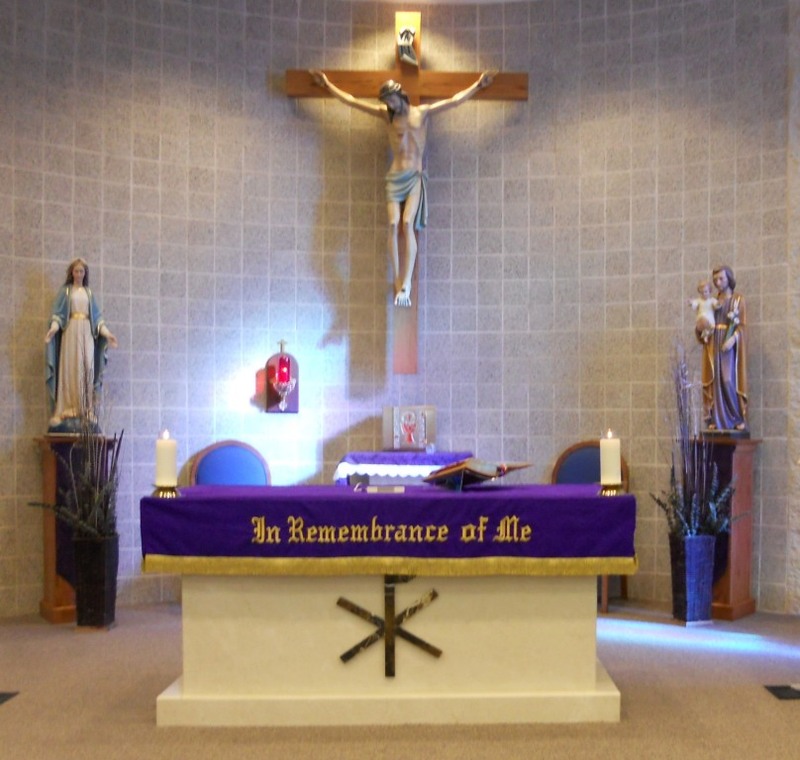 Lent is a time of prayer and living in God’s world. No matter where we are, God is there. The three pieties— prayer, fasting, and almsgiving— are the means to increase our righteousness. Nothing in the world can give us self-worth, self-esteem, except goodness and righteousness. [Therefore,] Jesus invites us to undertake this journey. The ashes signify life as St. Paul’s “blink of an eye.” Our life on earth is brief. 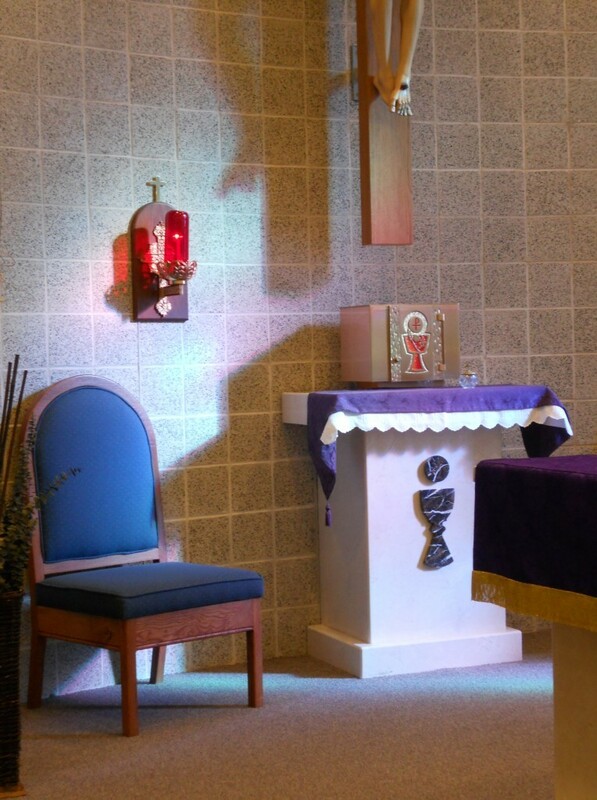 We need to convert, to reconcile with God; so Lent is an invitation to join in a faith journey. Let’s participate honestly with a full heart. Last year around this time, I attended one of Sister Teresita’s talks at St. Paul’s. Sister said that Lent is especially significant because it’s a time for true almsgiving. 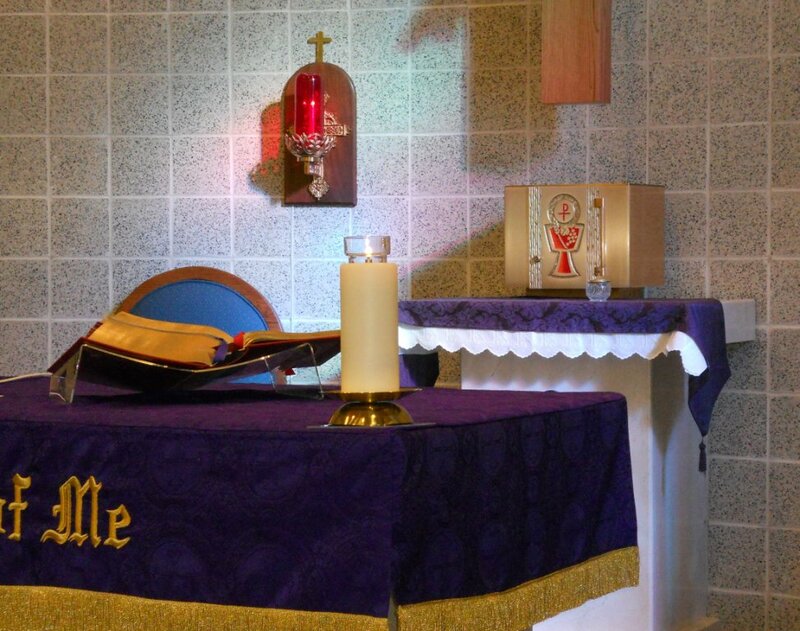 “Self-denial, forgiveness, and generosity become works of charity.” She added that giving perfects love, which is why almsgiving occurs during Lent. Think of the widow’s true [sacrificial] gift. She gave all she had, unlike those who give only what they have left over. 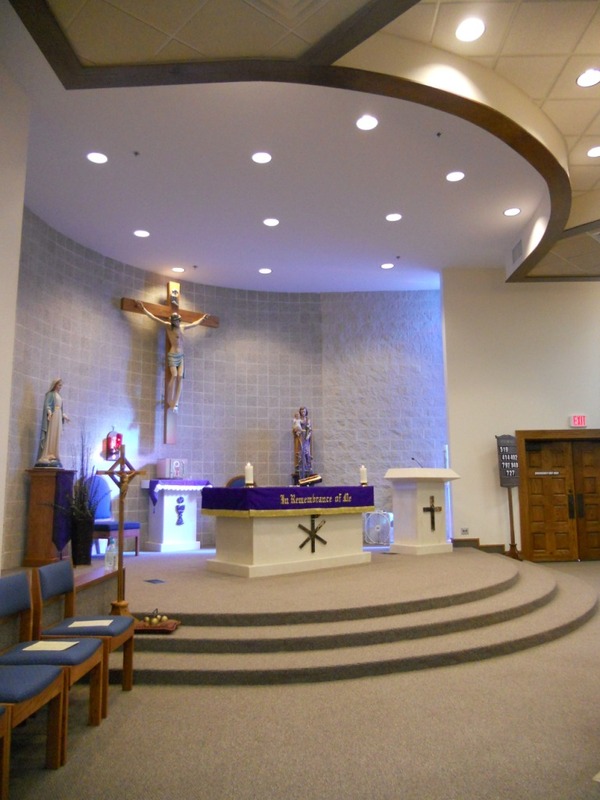 That made me think back to the bulletin board caption in my CCE classroom: Lent is… doing for God. My first graders had pasted pictures cut from magazines onto the big crosses they’d drawn to show what Lent meant to them. Remembering made me smile. Kids have such a simple way of expressing what adults sometimes can’t. Their prayerful ways— short, sweet— can be so profound. I focused back on Sister’s talk. Lent is the only time that forgiveness is part of a church season. Our presence is our gift to each other. God gives all without changing, unlike those of us who change without giving. This makes us lose a lot in the process. Sister Teresita shared the Dominicans’ thoughts on prayer: God wants us centered on him alone. When we place our trust and devotion in God, he takes care of all our needs. Dominic believed that the only way we can truly be focused on God is through one’s mind, body, heart, and soul. Sister then introduced Dominic’s nine prayerful ways, or orientations. Second is the veñia, the heartfelt promise to God. It’s kissing the scapular or the joy of commitment in the nuns’ voices when they take their vows. This is similar to celebrating World Marriage Day nowadays. Third is discipline. Dominic’s daily practice was to make amends through flagellation to make amends on behalf of heretics in need of conversion. Sister teased that we might not want to do that but could make amends in other ways instead. Lenten practices come to mind at the moment. Fourth is genuflection, or signing oneself with holy water, on entering and leaving the church. Fifth is contemplation, which is different from meditation. 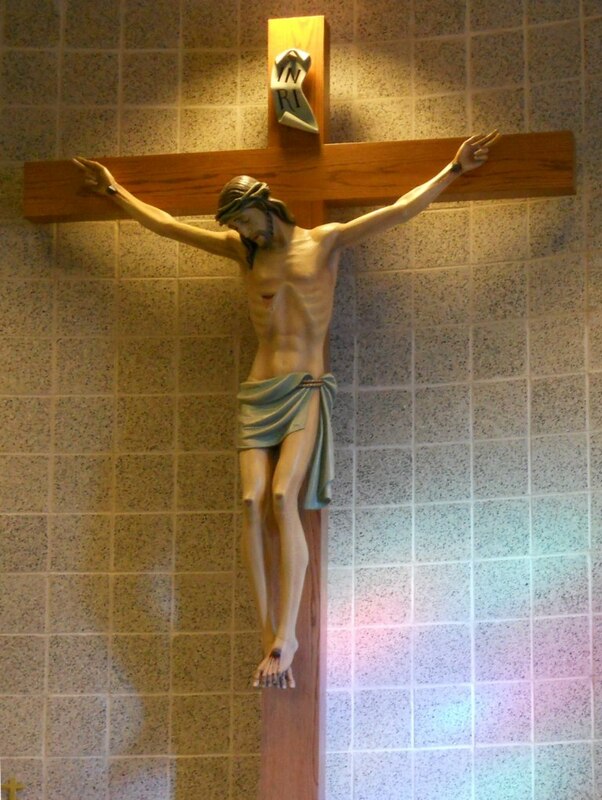 The eyes are concentrated on the cross, which to Catholics represents Jesus Christ. Sister Teresita asked Sister Guada to tell us the story she heard as a novice. 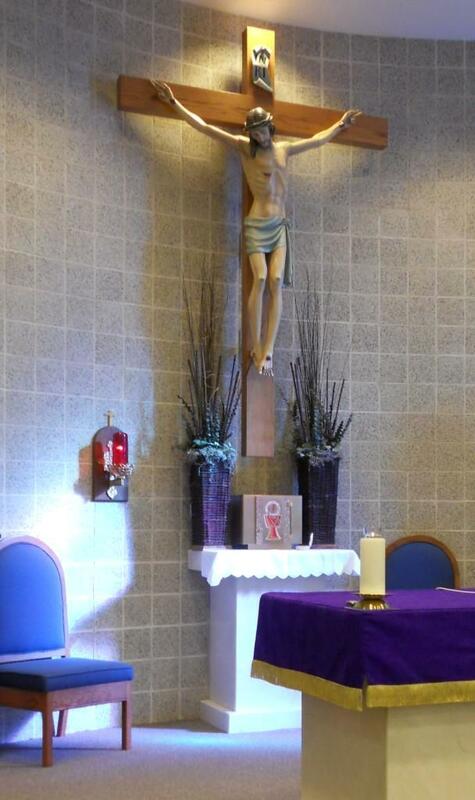 A man complained about the size of his cross, so he cut it bit by bit to lighten his load. On reaching the river, his cross was too short. The man couldn’t reach his destination because he couldn’t walk safely across to the other side. The lesson is that we all have burdens in life which we must bear. When we trust God, he provides the graces we need to endure difficult times. Sister Teresita continued with Dominic’s prayerful ways. Sixth is arms outstretched so that the body resembles a cross. Where does it hurt? How do the palms feel? This is a supplication prayer. Sister said that Sister Catalina, the Mother General who’s now eighty-seven, prays the entire rosary with outstretched arms while on her knees. She’s so focused that she’s oblivious to the discomfort of her posturing. Seventh is hands clasped like an arrow pointing to heaven. Ninth is praying on the journey. St. Dominic, an aesthetic, a mystic, spoke to and about God only. He purposely walked on sharp rocks to feel the pain. Life is like renting a hotel room. Once the trip’s over, one leaves it behind. All we earn is enjoyed in this life, but we don’t take any of it with us. Ours is a pilgrim journey during which true prayer makes us lovable to others and to God. On the first Sunday of Lent, Father said that Lent is a time when we contemplate Jesus’s suffering in the desert. Although we’re not in the wilderness, we, too, experience many internal struggles. Nevertheless, through prayer and self-denial we can overcome temptations, make better choices in life, and improve our relationship with God and with those around us. Having reached this point in my writing I was stumped. How can I reconcile Dominic’s nine prayerful ways and Father’s thoughts on Lent with ideas I don’t yet have? I don’t think I can finish this. Feeling frustrated with no quick answer in mind I walked away from my thoughtful spot to ruminate the dilemma further. The Holy Spirit will figure it out for me. Sure enough, I was inspired. The solution is to make a connection to what I know and love! Immediately, Gardner’s Multiple Intelligences theory (1983) came to mind. In the classroom, I employed diverse teaching methods to propel the learner into active participation within and beyond the school environment. Students experienced seriously discomforting disequilibrium with my thinking outside the box lessons. Most of my kids were complacent toward learning; unreceptive to new ideas; and, certainly, unaccustomed to creative problem solving. They thought they had to sit still to work in a quiet environment! I offered the freedom of movement in a collaborative setting. Give it a try. See what you think. With encouragement and patience, students adjusted to a very different classroom environment. By mixing and matching teaching and learning styles, I addressed their socioemotional and kinesthetic needs as well as their intellect. My kids found that it was okay to explore learning style possibilities— at their tables, on the floor, in the corner, standing, sitting, walking around, alone, and/or with others— as long as they focused on student achievement. My kids also discovered that productivity is fun! Tackling challenges became intuitive, and student achievement skyrocketed. Through holistic engagement my students achieved greatness! Prayer, like the classroom, is wonderful for experimentation. It’s an ongoing science fair project requiring purposeful tending, ownership, responsibility, and acceptance regardless of the outcome. Its unique contribution is the ultimate goal; its usefulness to others, its overall success. th require a concerted effort of one’s mind, body, heart, and soul in pursuing a life-altering goal. In education, it’s preparing for life in the real world; in religion, it’s striving for heaven in the afterlife. To achieve one must remain focused on the ultimate prize. To Dominic that meant centering on God alone. He believed that, while it’s good to pray (petition) for others and for ourselves, there’s no need to do so. God knows what’s good and right for us. He longs to be near us, to take care of us, to love us. But we first have to let him in! Years ago I read that God is always with us. Yet we choose not to be with him! God waits patiently. He chose us before we were born, so he knows who and what we are. It’s just a matter of time before we return to him. With Dominic there was no hesitation. He immersed himself in purposeful prayer and posturing so that God was always sure of his fidelity. He focused on God alone. Pondering what Father Xaviour and Sister Teresita said I understand that Lent is a very special time of reflection and prayer. Because God revealed his love for us through his son we remember Jesus suffering in the desert, his self-denial, his dying on the cross for us, and his resurrection. Above all, however, we remember that the way Jesus gave his all to and for us is the way God avails himself to us daily. 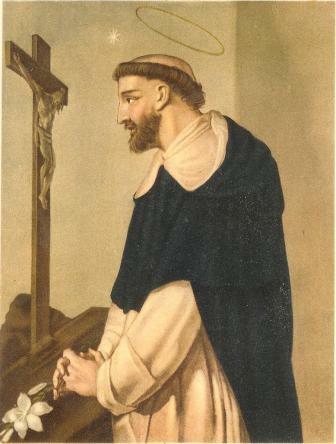 Moreover, to take a lesson from St. Dominic is to invite God into one’s life; so give wholeheartedly without hesitation, pray with earnest resolve, remember that God is always present, and aim for God’s listening ear as a year ’round commitment. “For where your treasure is, there also will your heart be” (Matthew. 6:21). God. our Father, in your infinite love and goodness you have shown us that prayer, fasting, and almsgiving are remedies for sin. Accept the humble admission of our guilt, and when our conscience weighs us down let your unfailing mercy raise us up. Through our Lord Jesus Christ, your son, who lives and reigns with you and the Holy Spirit, one God, for ever and ever. Amen. — all of your talents, your character traits, and even your unique quirks— is filled with his life and is used to build his kingdom (the Word among us, Lent 2012, p. 31). God [is] the merchant, and each of us [is] the treasure. Our heavenly Father is [dedicated] to winning our hearts. He longs for us and will stop at nothing to find us and possess us as his very own. Relentless in his pursuit of us, God woos us tirelessly. He speaks to us in a thousand different ways, trying to capture our attention and our imagination. He even [sent] his own Son, who sacrificed his life, in order to obtain us as his treasure. It was a costly sacrifice indeed, but this only shows how valuable we are to him (the Word among us, July/August 2012, p. 52). Lord, you are the greatest treasure I could ever find. Help me wake up with your cross on my mind and your praises on my lips, for the treasure that you have given me will last for eternity! (the Word among us, July/August 2013, p. 50). The fact is, the Lord is looking for you, too. That’s true whether you are like Gideon, with a calling that you’re not yet aware of, or whether you are already doing his will. He is looking “over the whole earth” to encourage those who want to serve him and to help them move to the next level of discipleship (2 Chronicles 16:9). He knows your real name. He sees who you are and who you can become. If you consider yourself insignificant, he will tell you how important you really are. If you have become convinced that you’re finished, let him tell you about the new beginnings he has in mind for you (the Word among us, July/August 2013, p. 70). “Hold fast to the will of God, and with all your heart fight the good fight under the leadership of Jesus” (St. Andrew Kim Tae-gŏn). Thank you, Father, for inviting me to spend time talking with you as a friend. Open my heart to listen attentively to what you are saying today (the Word among us, October 2013, p. 23). Lord, I want to know you more. Help me to know your ways. Teach me, Lord, and lead me (the Word among us, November 2013, p. 25). “Lord, do not let my heart lean either to the right or to the left, but let your good Spirit guide me along the straight path” (St. John Damascene, c. 676-749). To love God as he ought to be loved, we must be detached from all temporal love. We must love nothing but him, or if we love anything else, we must love it only for his sake (St. Peter Claver). There is only one thing to do here below: to love Jesus, to win souls for him so that he may be loved. Let us seize with jealous care every least opportunity of self-sacrifice. Let us refuse him nothing— he does so want our love! (St. Thérèse of Lisieux). “God wishes to be asked, he wishes to be forced; he wishes, in a certain manner, to be overcome by our prayer” (St. Gregory the Great). When we began this foray into the desert, we looked at the temptations that faced Jesus and, by extension, all of us. The desert represents a stripping away so as to make the fundamental things appear. In the desert, there are no distractions or diversions or secondary matters. Everything is basic, necessary, simple. One survives or one doesn’t. One discovers in the desert strengths and weaknesses he didn’t know he had (Fr. Robert Barron). What does it mean that Jesus is risen? It means that the love of God is stronger than evil and death itself; it means that the love of God can transform our lives and let those desert places in our hearts bloom. The love of God can do this! (Pope Francis). Dominic’s times, like our own, were marked with strife, turmoil, and lack of solidarity among people. Dominic did not despair; he did not stand idly by. He prayed to know God’s will and for the strength to do it (Aquinas College). When praying to God, we can only ask for God, since he is everything; and, in giving himself, he gives us all. In asking for him, we ask for all. When we possess him, we can wish and ask for nothing more (Dom Augustin Guillerand in The Prayer of the Presence of God). Lent calls us back to seeing that God loves us as we are and wants to heal us. We do the right things for the wrong reasons and sometimes do the wrong things with the best of intentions. Even something objectively wrong can become, through God’s grace, a sign of something holy and healing, a marker along our path that leads us home to God (Diane M. Houdek in The Hope of Lent). “Jesus revealed to us the divinity of God, making it possible for us to enter into a profound relationship with him” (Fr. Maurice Emelu in Our Journey to God: An African Priest Explores the Power of Faith). It’s easy to become discouraged that we do not pray as often or with the intensity that Saint Francis had. Yet prayer is the last place where we should compare ourselves to others. We don’t know if another person’s prayer reflects a life already turned over to God’s grace or a life with much to be relinquished to God’s grace. Long prayers are not necessarily better. What matters is the integrity of prayer, the openness the person praying shows to conversion to the Lord’s ways (Pat McCloskey, OFM in Peace and Good: Through the Year with Francis of Assisi).